You know, I was just thinking why I have not reviewed any program by Bob Proctor on this site thus far, and thus far I have yet to come up with an acceptable answer🙂. So here it is – my Six Minutes to Success review. First up, check out these videos, OK? 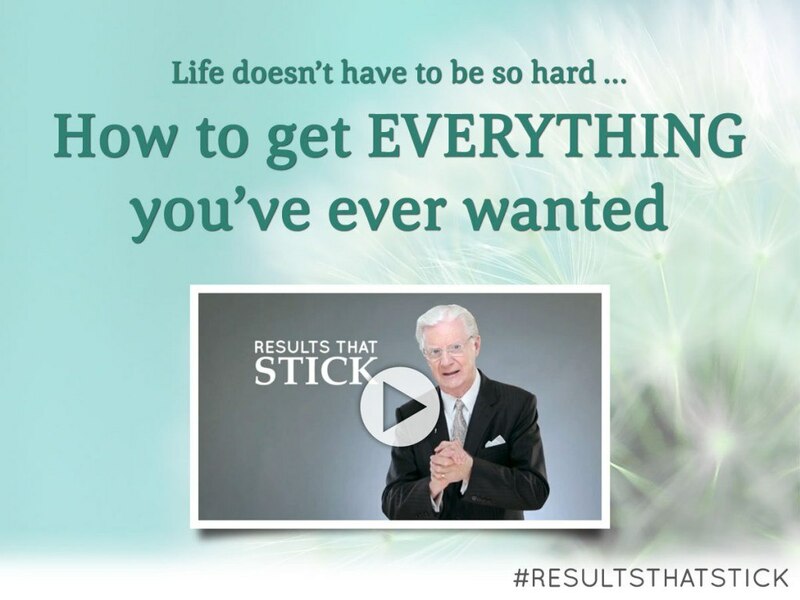 Click here to go to the start of a series of three inspiring videos presented by Bob Proctor. Video 1 is about paradigms, ideas that are fixed in your subconscious mind – they control your vibration, they control your behavior and they control what you ATTRACT. Video 2 (my personal favorite) touches on the TYPE of goals that you should be setting in your life. “If you do not get the chills when you set your goal you’re not setting big enough goals.” – Bob Proctor. Watch Bob as he explains the “ABC of goals”. Video 3’s topic is Terror Barrier. I would love to explain more but I believe Bob himself would be able to explain all this much better than me🙂. You can watch the first video here. A little bit of info on Bob..
Bob Proctor is widely considered to be one of the greatest speakers in the world on the topic of getting rich. For more than 40 years, Bob has focused on teaching people how to understand their hidden abilities to be more, do more and have more in every area of life, for example creating lush lives of prosperity, rewarding relationships and spiritual awareness. One of the world’s master thinkers and achievers, his delivery is also top notch! In 1960, he was a high-school dropout with a resume of dead-end jobs and a future clouded in debt. One book was placed in his hands – Think and Grow Rich – which planted the seed of hope in Bob’s mind. In just months, and with further support from the works of Earl Nightingale, Bob’s life turned around completely. In a year, he was making more than $100,000, and he soon surpassed the $1,000,000 mark. Bob then moved to Chicago to work with his real-life mentor, Earl Nightingale. After rising to the position of Vice President of Sales, he established his own seminar company. Bob now travels the world, teaching thousands of people how to believe in and act upon the greatness of their own minds. And yeah, he’s the first person you see in the movie The Secret🙂. 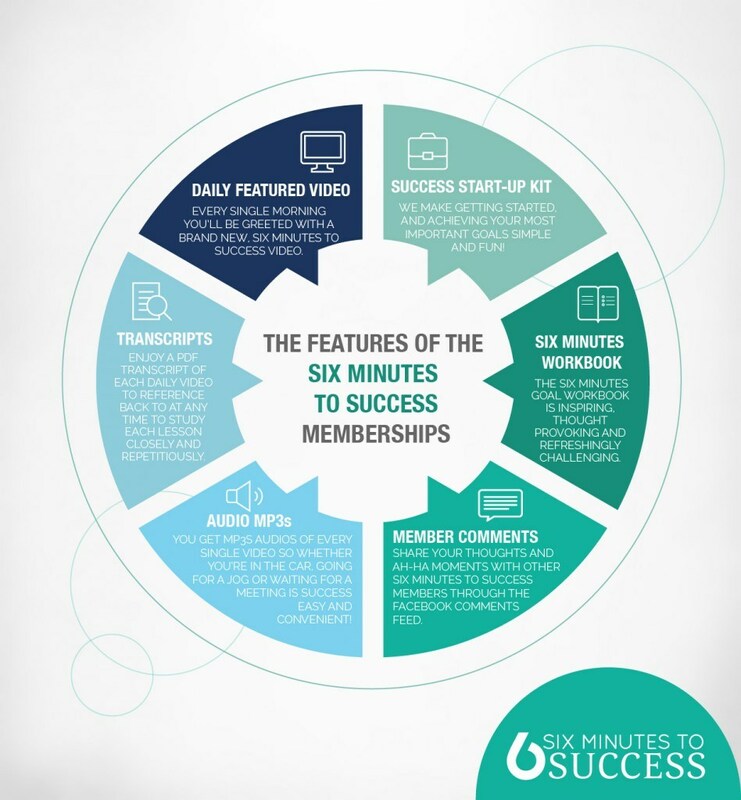 So, what is included in Six Minutes To Success? Both are cheaper than the price of a cup of coffee and donuts per day🙂. And you don’t have to risk a single cent. If you’re not totally happy with your membership, just email support@proctorgallagher.com for a FULL refund within the first 60 days after your purchase. 1) You will get a success start-up kit. For before you can build a house you must first start with the foundation – and your dream life is no different. The success start-up kit consists of 4 videos that lay the foundation for all the good you truly desire. 2) You will also receive daily-featured videos/audio MP3s/transcripts. Every morning – 7 days a week, 365 days a year – Bob is going to share with you a new thought-provoking, mind-expanding idea (on universal laws, money, health, relationships and more) along with an exercise to get you taking action every single day. 3) And you can share your thoughts and ‘ah-ha’ moments with other Six Minutes to Success members through the Facebook comments feed below each video, as well as engage with other members. Under the Premium membership, you will also get access to all 600+ Six Minutes to Success videos searchable by keyword, category and title, as well as the monthly Q&A with Bob. 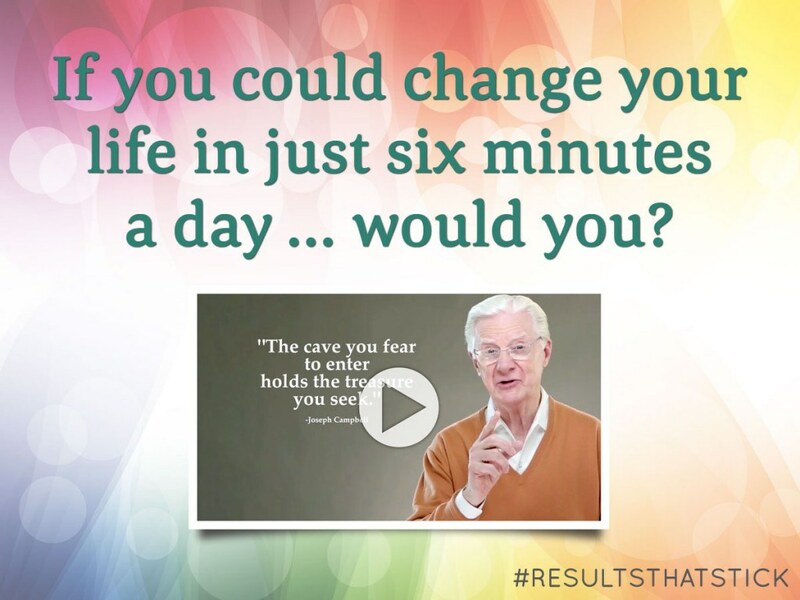 Most importantly, you would dramatically increase your results – in ALL areas of your life. You would get practical steps combined with the inspiration you need to earn more money, start a wildly successful business, create thriving relationships and live a more fulfilling life. And, you can do it all in the comfort of your own home, and with the easy convenience of a mobile device. The only catch is that you need to discipline yourself into watching the videos and doing the exercises every single day. However, each video is only a few minutes long with a short exercise that will take a few minutes to complete. Meanwhile, the results of your new “six minutes a day habit” will be limitless. Just imagine having a place to find the answer to any question life throws at you. Imagine having your dreams come true without having to trade all of your time. 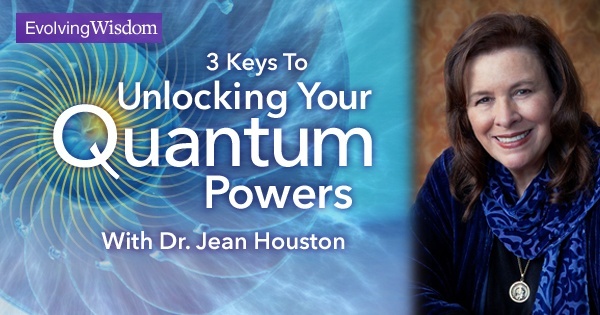 Imagine what your life may look like 60 or even 30 days from now after learning from one of the best teachers in the world on human potential – every single day. And just imagine achieving your goals WITHOUT experiencing all the struggles of growth and without going it alone. Join Six Minutes to Success TODAY and start living the life you have always dreamed about. That is all from me today. If you’ve enjoyed or found this review to be useful do share it with others, and if you have any questions or comments in regards to this program just let me know in the comment box below and I WILL get back to you as soon as I can. Thanks for reading! I am so glad I found your blog. Reading inspirational, self-help and how-to books about achieving financial and personal success is one of my hobbies. 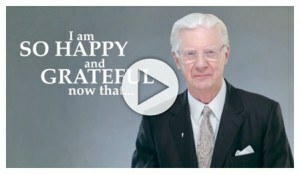 I know of Bob Proctor, but didn’t realize he has a video course. I am going to definitely check this out; I’ve found that self-help courses, self-help books, etc really help grow your mindset. Thanks Hillary, and do enjoy the beginning of your journey with Bob Proctor. Keep me up-to-date of your progress? “Behind all your fears, are the best of your life”- Fernando Palacios. I am not affiliated with this program, but I’m considering the idea after reading this post. I am a faithful believer of human mental capacity and our fears that paralyze us always on our way to success. You don’t have to make a decision now, just enjoy the free videos first. I learnt a lot just from the 3 videos. Great post. Quick question, I am guessing to really be successful with this one has got to watch all the 600 videos (with premium membership) or you just pick which ones that interest you? I guess it depends on the individual. Some people may have strong negative beliefs in a particular area of life and they may require a longer period of time to change their paradigm. But others may generate great success after just a few months. One thing’s for sure though, Bob Proctor knows how to achieve success and, unless you’re already very successful, you will stand to gain lots from his coaching. Great look – and very informative! The videos really add to what you’re trying to say. It’s also very clean, and I like the way you broke it up so it is easy on the eyes for the reader. Thanks, JoEllen :). Hope the free videos provide you some minor breakthroughs! 2. This is one of the self-help programs with the highest value I’ve had the pleasure of being a member of. It takes just minutes each day, but the ideas you learn continuously are really life changing if you put them to use. All though sometimes the amount of new things to learn can be a bit overwhelming, I really think that it’s one of the best programs I’ve participated in. Thanks Ido. I’m glad to meet a fellow Bob Proctor fan today :). And yup, this is always the problem – a lot of great self-help books or programs in the market but not enough time to explore them all! Thanks Peter. Right, it is certainly not cheap but I also think that it isn’t expensive given the value that you WILL get in return :).